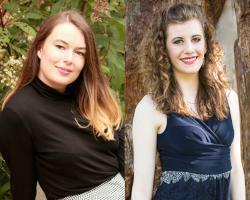 Enjoy an evening of songs and duets for soprano with Tamzin Barnett and Rhiannon Merrifield, singers from Chichester. Tamzin recently made her debut with New Sussex Opera and Rhiannon studies at the renowned Royal Northern College. The concert will feature music by Mozart, Rossini and works by female composers.